Collaboration Software are those software’s which are designed to assist people who are involved in a common periodic task and they have a specific goal. This computing was initiated in 1951 by Douglas Engelbart who later versioned it in 1961 when the software was started to be used for complete functional work. A collaboration software merges all the needs of the user that are required for communication in a certain package. The solutions which are collaboration software provide a workflow that schedules, interacts and communicates through some media or any platforms. We can use this software in order to connect with people, for the organization of our work and get our work done easily. The basic purpose of collaborative software is to change the convert the data into the useful and more effective form. 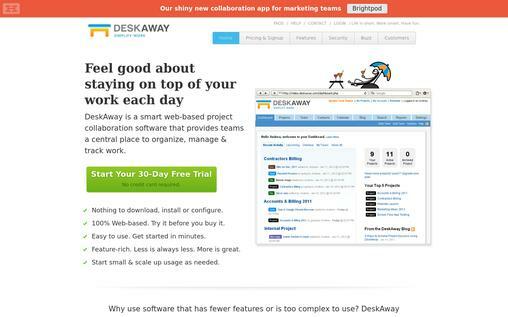 In this blog, we have listed 10 best Collaborative Software. OnStream Media is a collaborative software that allows a person to perform meetings or conferences on the high-quality platform. One doesn’t require any servers to set up this software. You can just create and conduct webcasts online in an easy go. This allows you to have rich media communications here you can see or present that data virtually. You can work with streaming services, virtual systems, professional services or conferencing services with this software. Switch on to this software if you have to conduct any onsite location meetings. 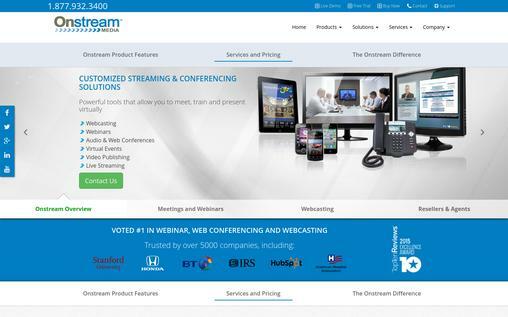 This software works well with easy conferencing. 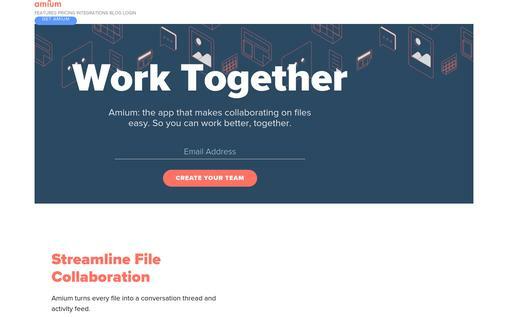 Amium helps your working with the files really easy and sorted. In order to work better and cordially, this software has a unique feature of converting the file into a thread of conversation. These files automatically get synced to your desktop and you can then work easily on them with the real-time process. Whenever these files get updates, the user individual gets a message or notification on the file. You can save the full history that has been performed including discussions. One can easily collaborate PDF files, word files, excel files or even photoshopped files within this software in one go. It helps you collaborate faster than ever. It automatically eliminates the old versions, lost files or the non-useful files. You can straight away preview the products on this application where you can keep a track of all the changes that were made or the changes that are still to be made. It serves you with easy editing tools and easy notification system so that you never miss an update. It is a software used by website developers as an enterprise application and is also used by project managers or content developers. Atlassian was released in 2002, in Sydney. This software is best known for its issue tracking technique. You can unleash your potential by working with this tool. 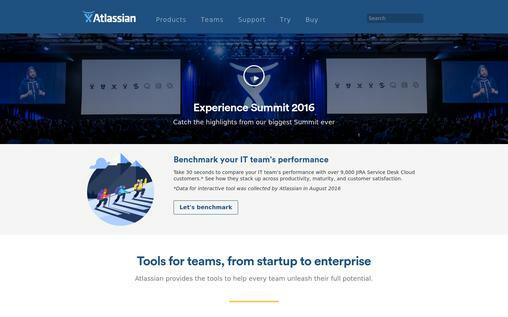 The products developed by Atlassian are free, easy to develop and work irregularly together. It doesn’t have any team that deals with sales; instead, it deals with the listing of all prices, information, and documentation about products or supports requests. Atlassian is known to serve over 60 thousand people globally, where it offers the business critical product, service strategies and premier product support. It has a number of integrations, plug-ins etc. that help in customizing applications through Atlassian. 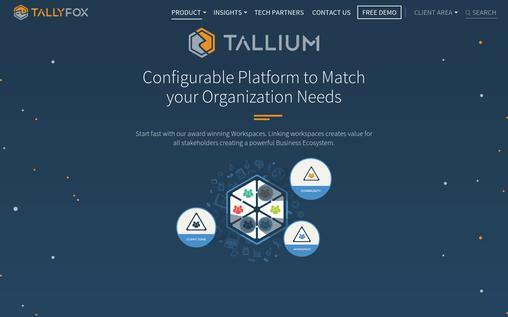 Tallyfox is a business platform that has been designed to smoothen the way for knowledge sharing, management of content and communication. In today’s world, we live in a knowledge-shared community, and the one who wants to expertise in his business needs to work with TallyFox. It serves people with problem-solving techniques, encouraging fresh ideas and supports interactions between customer and stakeholders. Further, it has a user-friendly interface and supports easy configuration. You can put up any query and get a relevant answer for it. This software is a very interesting platform for sharing news and documents and you can easily fetch them later. TallyFox buzzes up with notifications whenever there are any changes are made. Also, it is a very flexible platform which is also used for organization pages and deciding registration. Collect all your information such as documents, media, links, videos or any data in one place and organize as you want it. It brings out the best in your conferences and meetings. You can systematically organize all your data in one visual place. Express your thoughts and communicate entirely with your team. Even IOS developers can get familiar with this software. This software is easy and intuitive and can be practically used as per the requirement. This software is power test management software where you can easily integrate requirements, testing and you can sum that all up with this software. 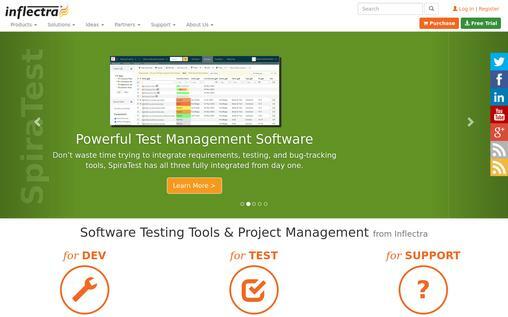 Also, it helps to take control of the project management and software testing lifecycle. Inflectra is easy to code, conduct and execute code. Plan your tools, manage and execute them in one go with this brilliant software. It’s very easy to track bugs, manage tasks or code source fully. Moreover, it provides efficient customer support and the comparative fraction of cost is very less. This software is web-based software that helps in the project management where you can easily organize, manage and execute work. You don’t have to waste your time in the installation or downloading the software because it is 100% web-based. It starts in minutes and is rich in features. It enhances simplicity and provides historical information also. You can simply check the project activity or timelines. Just send your tasks in the morning and check the project delivery that’s happening throughout the day. Manage all your data and track projects and people. This software provides easy automation for your business, it is the only market-based platform that is specifically used by professionals. It focuses on your needs and is not very complex to use. Plus, it also helps you maintain the important client relationships. 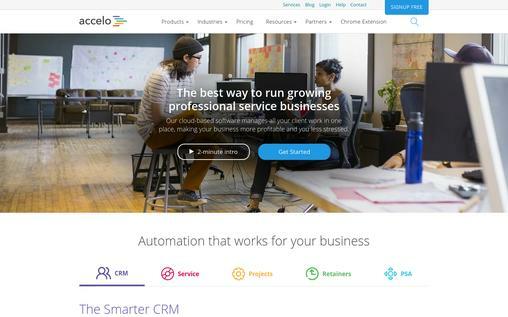 Accelo has nothing to do with data entry and automatically imports all your reports, emails and appointments with the client. It suggests you to just focus on your client and takes care of the rest. You can mould the customize the tool according to your need and requirement and it helps you to fit in with the software. It has seamless integrations with leading platforms. Nowadays, the market has stopped using cumbersome tools and searches for easy and efficient tools. It helps you to get easy with your business, service and client operations. It is a software company that is based on cloud-based collaboration. We have huddle for MAC, huddle for windows and huddle for outlook. Huddle ensures that colleagues can securely work together, store, edit or save files in the Huddle’s cloud. Also, initiates simple content creation in the Huddle cloud for further integration. 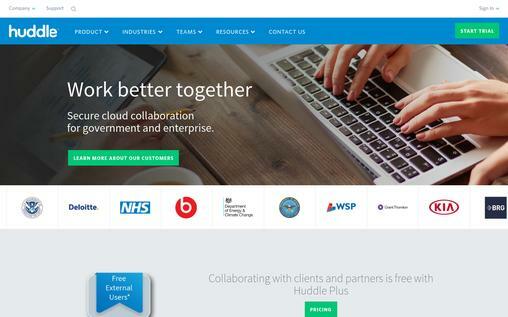 It works as collaboration software for both government as well as enterprise. We also have HuddlePlus now for free collaboration with partners and clients. With the help of this software, you can connect to anywhere, inside or outside. It simplifies your management of files and information. You can spend a very less time with assembling the documents and more time delivering the results. It keeps you synchronized with the latest version so that you never miss on a deadline. This software brings all your work together. You can help yourself with easy file sharing and collaboration. 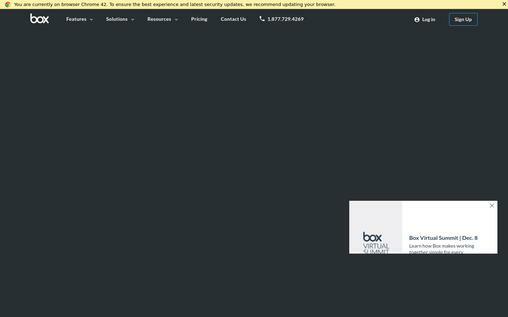 With box, you can not only share files securely but you can also edit, create, and preview your documents anywhere, from any device. It brings up the smarter and faster execution time as ever before. It has centralized security systems and you can also report encryptions. You can also switch on to applications for using this software. In this cloud-driven world, this software provides you an easy access to content at any time. It works hand in hand for all departments such as marketing, IT, finance, human resources etc. it also links you with both financial as well as professional services. On your path to achieving goals, this collaborative software is developed to make your work simpler and easy. They are efficient and cost productive and aims at centralizing your content. 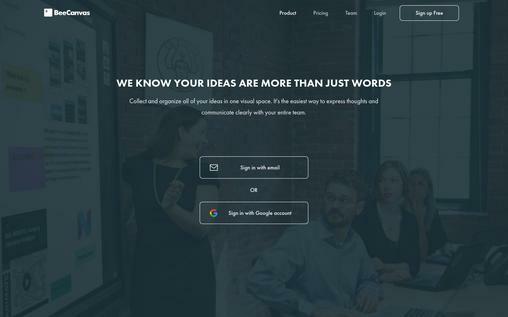 Collaboration software understands the interactions between applications developed by humans and the interchange of information, where media like telephones, emails, cell phones are enough for collaborative interactions. Amazing and resourceful article. We really appreciate you mentioning tools in the article. Thank you.